Editor’s Note: Paul Paliath, founder of GeekSmack, contributed this article. 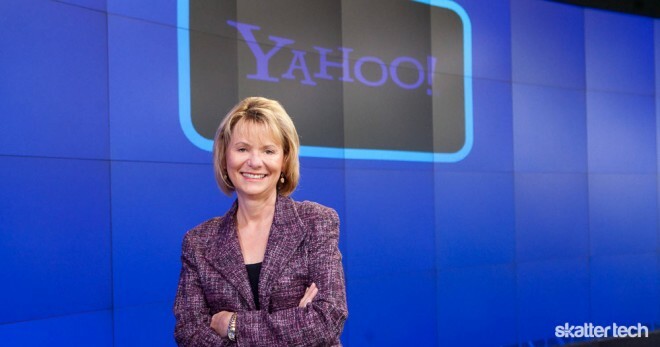 Following a breaking news report by AllThingsD, Yahoo has confirmed that its Board of Directors has fired Carol Bartz from her position as CEO. CFO Tim Morse will fill the role of interim CEO as Yahoo’s Board of Directors continue their search to find a suitable permanent CEO. The Board fired Bartz over the phone, according to the email she wrote. Ouch. “The Board sees enormous growth opportunities on which Yahoo! can capitalize, and our primary objective is to leverage the Company’s leadership and current business assets and platforms to execute against these opportunities. We have talented teams and tremendous resources behind them and intend to return the Company to a path of robust growth and industry-leading innovation. We are committed to exploring and evaluating possibilities and opportunities that will put Yahoo! on a trajectory for growth and innovation and deliver value to shareholders. Rumors surfaced in June claiming that the Board was on the hunt for a replacement CEO and as they fired Bartz without immediately naming a replacement CEO, some are speculating Yahoo might negotiate some sort of deal. When Bartz was hired back in January of 2009 to replace Founder Jerry Yang as CEO, many had hoped that she would run a tight ship and bring Yahoo back on top. However, throughout the two years she worked at Yahoo, the company remained the shadows of more relevant online companies such as Google, Facebook, Twitter, and even Microsoft. In light of Bartz’s termination, Yahoo’s share price has risen over 6% in after-hours trading. Mobile Video Chat: Who Will Get It Right First?